In the end a comfortable 44 point win to the Power who pulled away from the Bulldogs in the second half with seven goals to one. Dixon the standout forward on the day kicking 5.2 (32), with Trengove the only other multiple goalkicker with two. The Power have now kicked 4.4 (28) to nothing in this last quarter. and lead the inside 50 count 135 and clearances 10-7. Dixon with his seventh score of the match from 14 disposals, ten of these disposal have come from contested possessions. Dixon also has a game high three contested marks. The Bulldogs are leading the clearance count 4639, although this hasn't translated to the scoreboard today. Macrae and Trengove for the Bulldogs the only two players in double figures with 11 and 10 respectively. Trengove's previous season high was two. 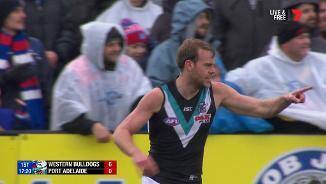 Although only kicking his first goal of the day, Robbie Gray now has four score involvements to his name. Dixon for the Power has a game high eight score involvements, including four goals and one goal assist. Jonas with two intercept marks in quick succession, his first two of the match, and sees the Power even up the intercept mark count to 13 apiece. Jonas only with seven disposals to his name but all have been effective. The Bulldogs are pushing late in this quarter with six consecutive inside 50s and three of the last four scores. Boak has a match high six inside 50s to his name, Macrae a team high five. From the Bulldogs' first behind of the day, the Power are able to move the football uninterrupted from the kick in to inside 50, resulting in the behind to Robbie Gray. Gray yet to kick a goal today. 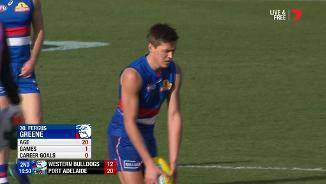 Schache now with the Bulldogs' first contested mark inside forward 50, and their first goal of the third quarter. Both teams have now kicked five goals straight from set shots. Eight of the total ten set shots have come from a mark. 13 minutes gone in the third quarter and the Bulldogs are yet to take a mark, while the Power have taken seven. 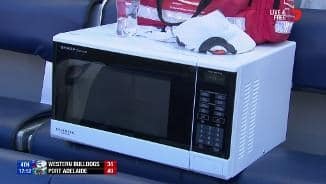 The Power lead the mark count 3623, the Bulldogs' current season low for a match is 34. Both teams with three inside 50s each so far this quarter, but the Power now with three marks inside forward 50 this quarter, including the mark that saw Wingard kick his first goal of the day. The Power have now lead the mark inside 50 count 82. It only took the Power three disposals to kick the first goal of the second half. Dixon the goal kicker from a contested mark inside forward 50, the first of the match. The Power lead the contested mark count 82. An engaging yet low scoring match sees Port take a four point lead into the half time break. Macrae leads all players with 20 disposals to his name, including 12 contested possessions, and two score involvements. A relatively even quarter so far, both teams with two goals and 57 disposals each. The Power have had the better of field position with 125 inside 50s. Clearances are 12-11 in favour of the Power and tackles also in their favour 27-24. 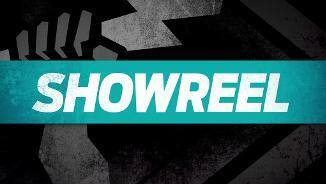 PowellPepper gives away his third free kick of the day, a match high so far, which results in the Trengove goal. The Bulldogs have now kick four goals straight from set shots, with all their goals to this point coming from set shots. Roughead with the hit out for the Bulldogs but Motlop with the shark, clearance, and resultant goal for the Power. The Power lead the hit out count 2114 and hit outs to advantage 5-2. Fletcher Roberts floats in over the top of the pack in the Bulldogs' defensive 50 and executes his sixth spoil of the match, while no player for the Power has more than two to their name. The Bulldogs lead the spoil count 1813. That goal to Greene originated from a Macrae clearance, his fourth of the day already. The Macrae clearance broke a streak of four consecutive for the Power, which included two for Wingard who also has a total four to his name. A late goal to the Power see them take a slim two point lead into the first break. In an even first quarter the Bulldogs marginally edged the Power on inside 50s 1716, Contested possessions 47-46, and on the total disposal count 102-93. Hombsch takes the Power's third intercept mark inside defensive 50 of the quarter, the Bulldogs have taken two in their defensive 50. The Bulldogs lead the intercept mark count 73 across the quarter, Crozier with three to his name for the Bulldogs. Macrae is continuing his stellar form of this season, the first player to double figure disposals now with 11. This includes six contested possessions and two inside 50s. Macrae's disposal efficiency however is only 45 per cent. The conditions demanding the one percenters from all players today. Tackles are 18 apiece early, Rockliff for the Power leading all players with three. Spoils are nine apiece, Adams from the Bulldogs leading all players with three. 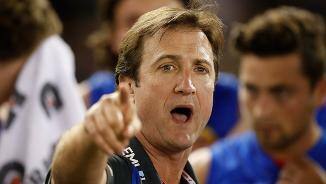 The Western Bulldogs are dominating possession and field position early, leading disposals 3526, and inside 50s 8-2. Port however is leading the clearance count 6-3, Polec with two too his name. Watts kicks the Power's first goal of the match from his first kick of the match. Ebert with the goal assist by foot, both Ebert and Watts with marks inside 50 for the Power as part of their first inside 50 of the day. Since 2014, the Bulldogs have lost the tackle count by14 per game against the Power, the secondworstdifferential recorded by any side. In challenging weather conditions today, hard work at the stoppage will go a long way to determining the winner. The Power have averaged 28 tackles per game at a stoppage this season, ranked number 1 in the league. Welcome to Mars Stadium for the Western Bulldogs v Port Adelaide Round 19 clash. 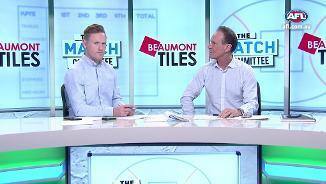 IT WAS always going to be a potentially tricky assignment for Port Adelaide against the Western Bulldogs in icy, windswept Ballarat on Sunday. For the Power, who'd lost their previous two games, the equation was simple: a win over the battling Bulldogs would lift them back into the top four, while a loss could have cut them down to eighth. Inclement conditions have been known to lessen the gap between teams, and those presented at Mars Stadium were the kind that only the most passionate supporters brave, and only the most committed players conquer. 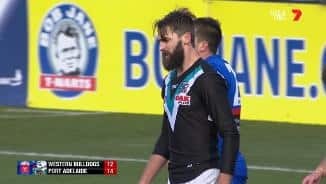 The Bulldogs were certainly committed but Port Adelaide boasted a few bigger bodies – chief among them power forward Charlie Dixon (five goals) – and some extra polish to prevail by 44 points – 11.12 (78) to 5.4 (34) – in a waterlogged slog. The win lifts Port up to fourth place, level with third-placed Collingwood on 48 points and half a game ahead of Greater Western Sydney in fifth place. "At this time of year, every win is crucial. 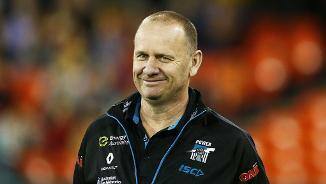 We've seen how close it (the ladder) is," Power coach Ken Hinkley said post-match. 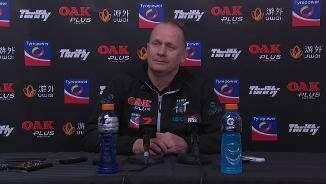 "We had an opportunity to go to equal-third on the ladder or eighth at the end of today, and we still know how close it is. It's really important at this stage of the year." 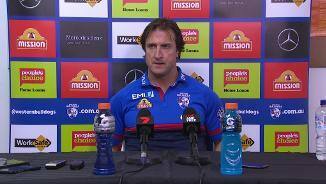 Bulldogs counterpart Luke Beveridge said his team's inexperience had again been telling. 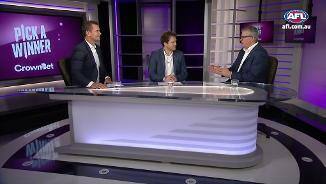 "There’s probably eight to 10, maybe even a dozen boys who are still trying to find their way in the game and establish themselves as AFL footballers, and when you’ve got that it's quite difficult to connect as a 22 for a quarter, let alone four," Beveridge said. "(We want) to continue to search for some foundations for next year." On a difficult day for tall forwards, Dixon reigned supreme, impacting with some heavy bullocking work and clever dish-offs early before hitting the scoreboard. Power wingman Jared Polec (32 possessions) provided terrific rebound run, Ollie Wines (26) and Sam Powell-Pepper were brutal in the clinches, speedy pair Chad Wingard (25 and a goal) and Steven Motlop (one goal and three score assists) were typically creative, while defender Jack Hombsch didn't see much of the action but set a new record for playing at the most AFL venues (20). Port's ruck issues were solved by the return of Paddy Ryder, although his opponent, former teammate Jackson Trengove, kicked two of the Dogs' four first-half goals and finished with 22 touches. Midfielders Jack Macrae (36 touches and 12 clearances) and Lachie Hunter (35) were the two constants for the Bulldogs, while ex-Docker Hayden Crozier (22) played perhaps his best game for the club across half-back. Bulldogs star Marcus Bontempelli, who captained his team in his 100th game after missing the past fortnight following surgery to remove his appendix, was workmanlike, but fellow leader Jason Johannisen was barely sighted. The Bulldogs, who were restricted to their lowest ever score against Port, have lost nine of their past 10 games, including each of their past four by an average of 53 points. Despite the arctic atmosphere, Port had every right to be confident given it had won its previous two games against the Dogs – firstly in their only other clash at Ballarat in round 22 last year, and then a 57-point victory at Adelaide Oval just six weeks ago. However, it was clear from the outset that this would be a harder fought contest, with Bulldogs midfielder Mitch Wallis goaling from the arc in the opening minute with a strong breeze at his back favouring the western end of the ground. The teams went goal for goal in the opening half – albeit just four apiece – as the heavy ball at times resembled a bar of soap and play was often bottled up on the dead southern side. Hard, percentage football was the order of the day – finessing was risky – in what became a territory battle with goals at a premium. 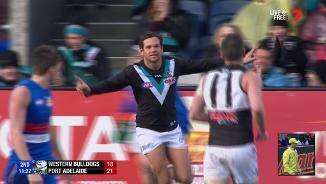 At half-time Port Adelaide dominated the inside 50s 36-22 but led by just four points. The visitors got more reward for effort after the break, and in the third term – which has been their strongest quarter this season – they produced a decisive three-goal spurt to lead by 23 points. The Dogs had the next 12 inside 50s and clawed back to within 14 points by three-quarter-time to give them a glimmer of hope. Star forward duo Dixon and Robbie Gray sealed the deal with brilliant goals early in the final term, as Port added seven goals to one in the second half, and 4.6 to nothing in the final term. First goal in the big time for Kane Farrell! Western Bulldogs: Big man Jordan Roughead received a cut to the head but was bandaged up and sent back into the action. Port Adelaide: Defender Tom Jonas left the field and had his left knee strapped but returned to the fray and played out the game. 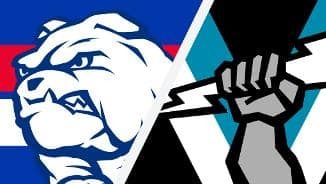 The Power face a six-day break before taking on crosstown rival Adelaide in what promises to be another fiercely fought Showdown at Adelaide Oval in the twilight timeslot on Saturday, while there are also just six days before the Bulldogs play an improving St Kilda at Etihad Stadium that night.